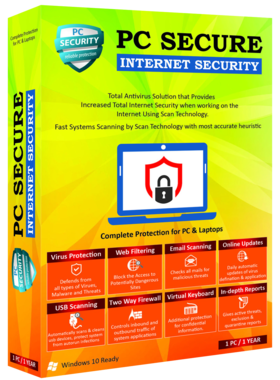 PC Secure Internet Security has the ability to block the access to potentially dangerous sites, blocking its download during review in browser. Operose Scan Technology (OST)scans the system in real time and is designed to detect viruses and other malicious programs that try to enter the computer. A virtual keyboard can usually be operated with multiple input devices, which may include a touchscreen, an actual Computer keyboard and a computer mouse. USB tools - a shield, to protect you from incoming threats, and a scan, to scan pendrives once they are inserted. A firewall monitors all applications that attempt to access the network. Both inbound and outbound traffic. In Depth Report Contain "Active Threats" that view about threats detected during previous scans, “Exclusions" feature allows creating exclusion list of files and folders. Application Updates and Anti-virus Updates. The effectiveness of computer protection depends on the up-to-date antivirus databases and application. 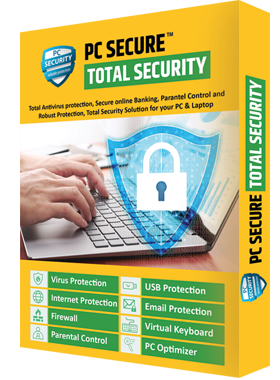 © 2019 by PC Secure. All Rights Reserved.